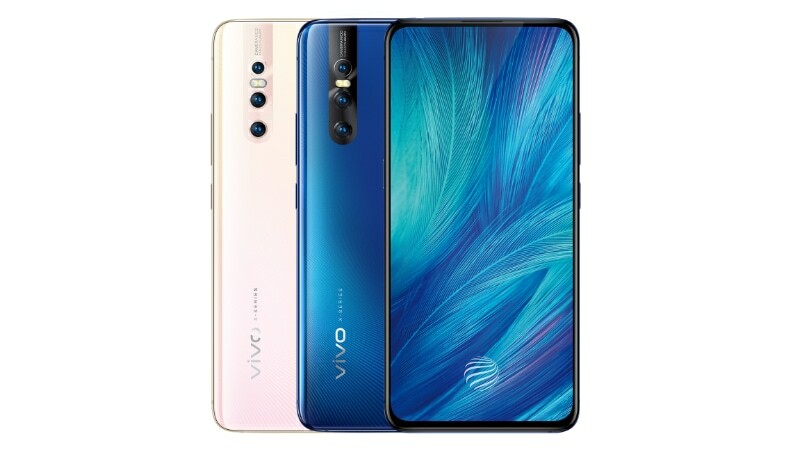 Vivo has announced a new smartphone which is essentially a new variant for the V15 Pro which was recently launched in India. The new Vivo X27 Pro is now official and comes with features like a pop-up selfie camera and in-display fingerprint sensor. The company also announced the X27 which is a slightly inferior version. The Vivo X27 Pro features a 6.7-inch display with a 20.5:9 aspect ratio and full-HD+ resolution. It is powered by an octa-core Snapdragon 710 SoC, paired with 8GB of RAM and 256GB of inbuilt storage. At the back there is a triple camera setup that includes a 48-megapixel Sony IMX586 primary sensor, 13-megapixel secondary sensor along with a wide-angle lens, and a 5-megapixel tertiary, depth sensor. The pop-up selfie camera module that includes a 32-megapixel sensor and you get artificial intelligence (AI) features to enhance the photos that you take. Other features include an in-display fingerprint scanner, 4,000mAh battery, 4G LTE, Wi-Fi, Bluetooth, GPS/ A-GPS, NFC, and USB. The smartphone runs on Android 9.0 Pie with Vivo’s Funtouch OS 9 on top. The X27, is pretty much the same device however it comes in a 8GB RAM + 128GB storage variant which is powered by a Snapdragon 675 SoC. Also the pop-up selfie camera on the X27 is a 16-megapixel sensor and the battery is rated at 3,700mAh. As of now, the devices are only announced for the Chinese market. The launch of the X27 Pro hints at the fact that Vivo might be looking at launching the variant as an updated version of the V15 Pro in India.